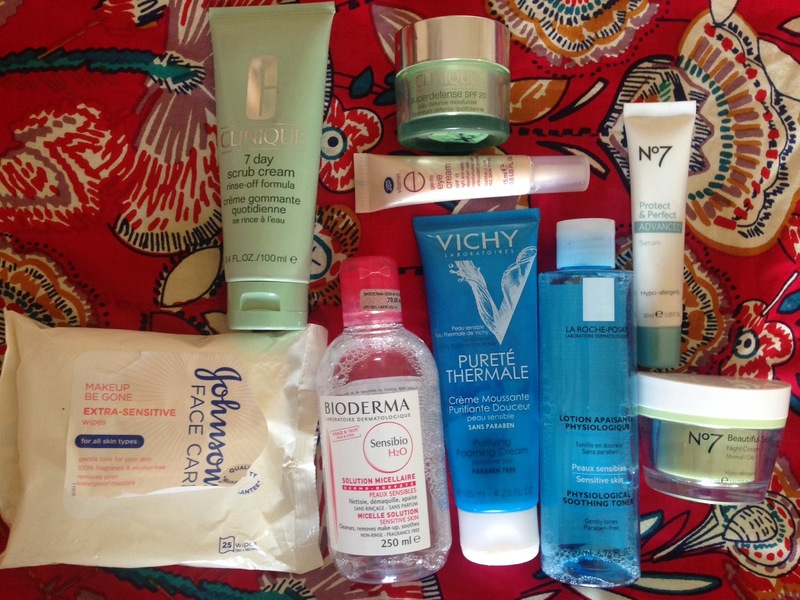 So, I thought I'd do a post on my skincare routine. 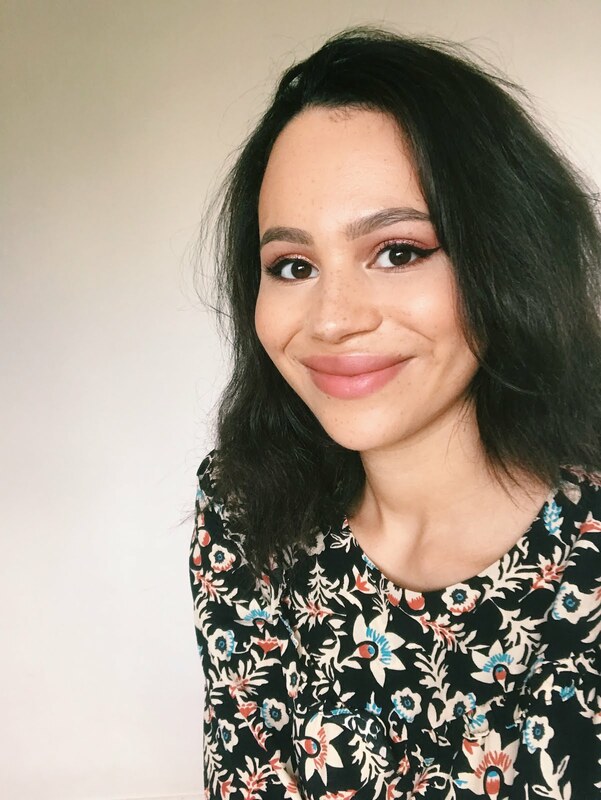 Obviously everyone's different but these steps have improved my skin SO much; I don't really break out at all now, so some of it might be useful to you! First I wash my face with warm water or in the shower, then 3 times a week I'll exfoliate with my Clinique 7-Day Scrub Rinse-Off Formula (£19, review here). It's quite an expensive product, but this is one of the few pricey skincare bits I do really think is worth the money; as it's so gentle but leaves my face really smooth. I always use the Boots Vitamin E Gentle Eye Cream (£2.54), which is just amazing for the price! I like it a lot better than the Origins GinZing eye cream; although it does nothing for my dark circles it definitely stops my eyes getting puffy and tired. 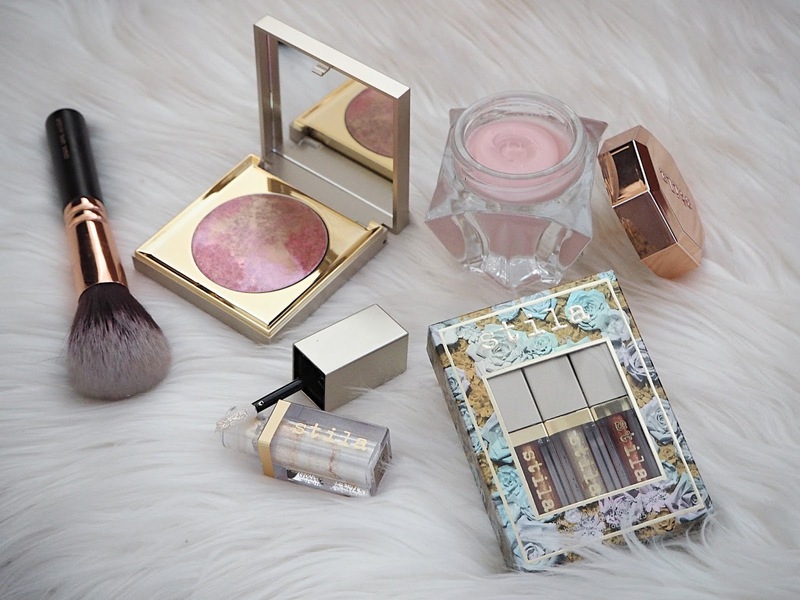 It also contains SPF for the delicate eye area, a lot of pricey eye creams don't even have an SPF! 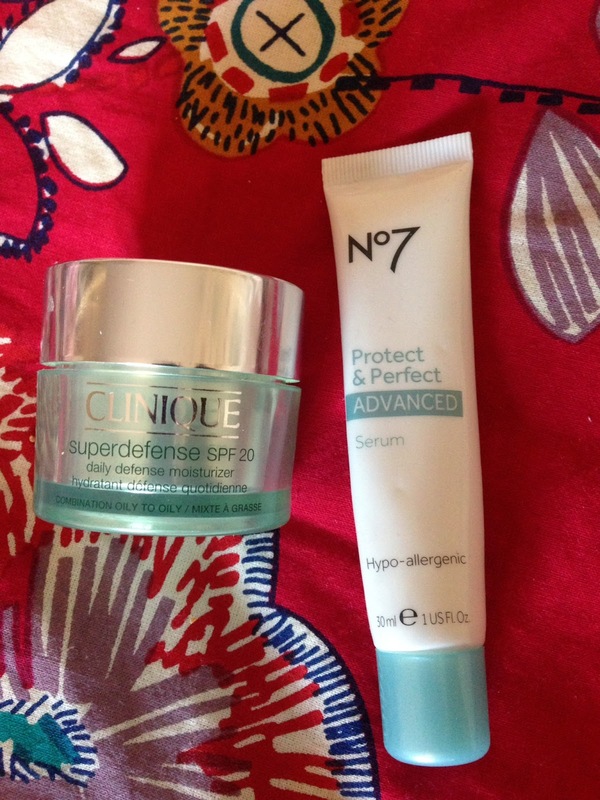 After this I use the Clinique Superdefense Daily Moisturiser SPF20 for Combination to Oily Skin (£39). Again, it does the job but I think it's pretty overrated; La Roche-Posay, Vichy and No7 all do cheaper moisturisers which are just as effective! This is the really important bit that's improved my skin massively! I know face wipes get a LOT of hate from bloggers but personally I think they're fine for getting the first layer of makeup off, they just aren't sufficient in themselves. So I'll gently wipe my face with Johnson's (£3.05) or Simple (£3.25) face wipes for sensitive skin. Next I'll use my Bioderma Sensibio H20 (£9.99) on a cotton wool pad to remove my eye makeup. It's so gentle and I hate putting gloopy things on my eyes. If I'm feeling lazy I'll remove all of my face makeup with the Bioderma, as I don't have to go the the bathroom and it's easier to get the bits around the hairline using a cotton wool pad. It's kind of hard to get hold of in the UK and it's a little bit pricey, so you can always try the Garnier Micellar Cleansing Water (£4.99), which is meant to be a great dupe. If I'm not being lazy, I'll dampen my face with warm water before applying my Vichy Purete Thermale Purifying Foaming Cleanser (£11.50, review here) and washing it off with a clean, damp flannel. After this I tone with my La Roche-Posay Soothing Physiological Cleanser (£12, review here), which leaves my skin super smooth and gets any tiny bit of makeup still lingering around. After this, I again use the No7 Protect and Perfect Advanced Serum and apply the No7 Beautiful Skin Night Cream for Normal Oily Skin (£13.50). I really like this night cream, as it seems like it'll be thin and greasy but it sinks into the skin really quickly, leaving it soft not sticky!